The luxury eco-friendly Karen Blixen Camp is scattered along the Mara River in the Mara North Conservancy of the Masai Mara Ecosystem in Nairobi, Kenya. 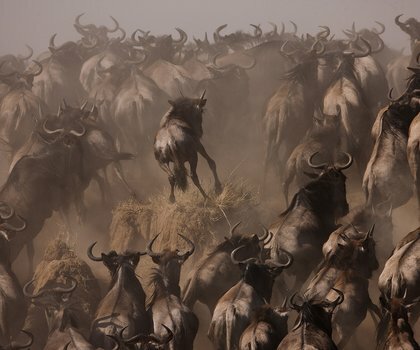 The conservancy is a key dispersal area of the Great wildebeest Migration and is home to a wide variety of wildlife, particularly big cats. The camp offers both air and road safari packages. Activities are largely conducted in the private Mara North Conservancy that spans 30,000ha. Limited vehicle numbers mean that Karen Blixen provides its guests with exclusive and intimate wildlife viewing opportunities. 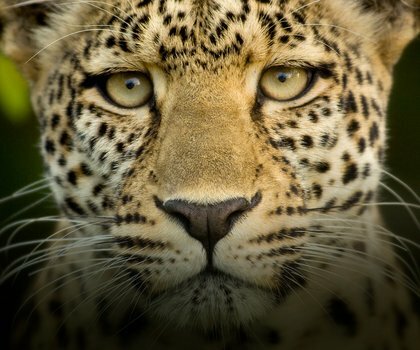 The camp specialises in Big Cat Safaris and seasonal Migration Safaris. Game drives, game walks, community visits, bird watching and balloon safaris are also on offer. 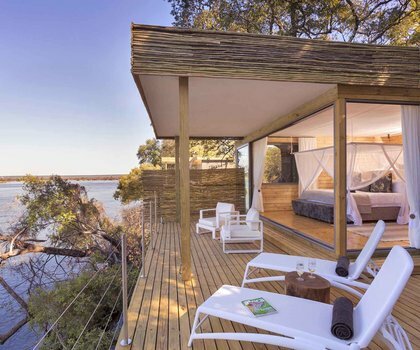 22 luxurious en-suite tents are dotted along the river bed. Each tent has a private verandah and day-bed, a perfect lookout point onto the river. In between safari adventures, guests can relax in the lounge or in the garden, have a drink at the bar, relax at the pool or at the spa or indulge in delicious gourmet meals and fine wines at the restaurant or bush garden.